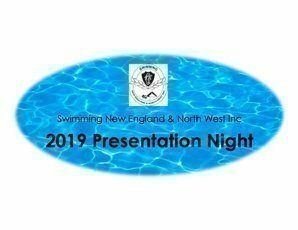 You are invited to attend the SNE&NW annual presentation night. All swimmers, technical officials and families are welcome to attend. Children’s meal alternate serve Chicken nuggets and Chips or Cheese Burger and Chips with a dinner roll and ice cream for dessert. Brought to you by:Swimming New England & North West Inc.